WANT YOUR PARTY TO HAVE MORE FREEDOM OVER THEIR OWN DRINKS? THAT'S NOT A PROBLEM... FOR JUST £3.50 PER PERSON YOUR GROUP CAN PURCHASE A WRISTBAND WHICH GUARANTEES DISCOUNTED SELECTED DRINKS ALL NIGHT. 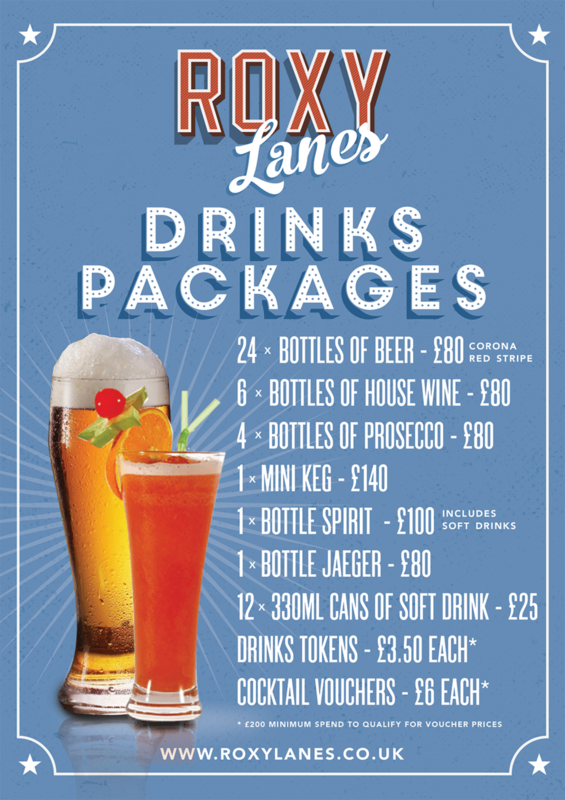 ADD MORE BOWLING TO YOUR FOOD OR DRINK PACKAGES FOR THE ULTIMATE CHRISTMAS FUN! OKAY, I WANT TO MAKE AN ENQUIRY!